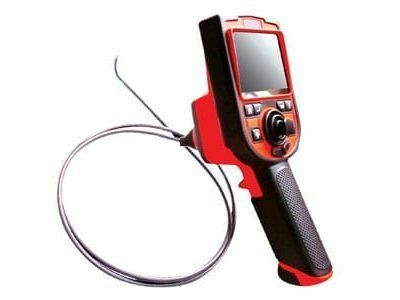 The ITI V5+ Videoscope System is a complete and compact industrial videoscope system, designed for demanding inspection applications. The V5+ features an integrated digital recorder capable of video or still photography that can be stored on a Compact Flash Card. The unit has a high resolution display monitor to view your inspection results, and an LED back-lit control panel for low light use. 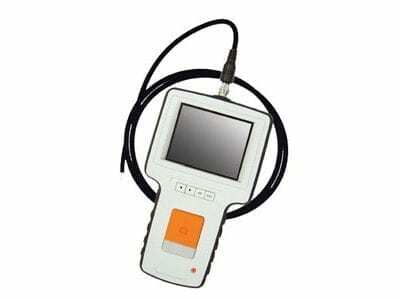 Easy image controls such as 2x digital zoom, image inversion and auto/manual white balance are included. With easy fingertip control, the user can actuate the articulation knobs on the RVI device in either a right or left handed operation and enable incremental angle control. 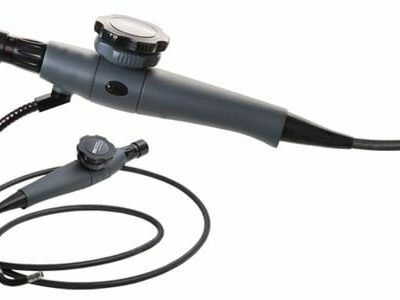 This lightweight industrial videoscope system only weighs 12.5 pounds, is highly maneuverable, and has an impact-resistant and moisture sealed membrane to maintain trouble-free operation. 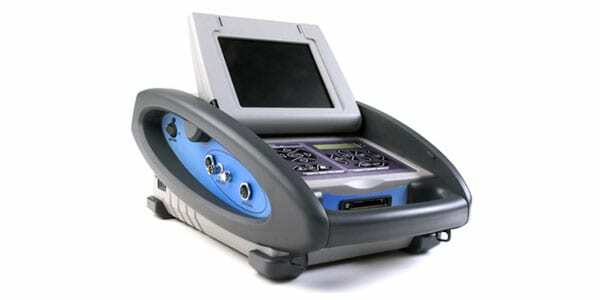 The V5+ industrial videoscope system is portable, giving the user the option to use it with a strap over the shoulder or around the neck or on a sturdy surface.